These cute pink spot socks from Doris and Dude are a charming addition to an outfit, plus they feel luxuriously soft and comfy. The material used is a blend of cotton, polyester and bamboo, with a small amount of elastane to create the best possible fit. Bamboo socks are ideal for both comfort and cleanliness because bamboo fibre is anti-bacterial and anti-fungal. These socks won’t leave your feet feeling constricted or dirty and maintain this amazing comfort all day long. 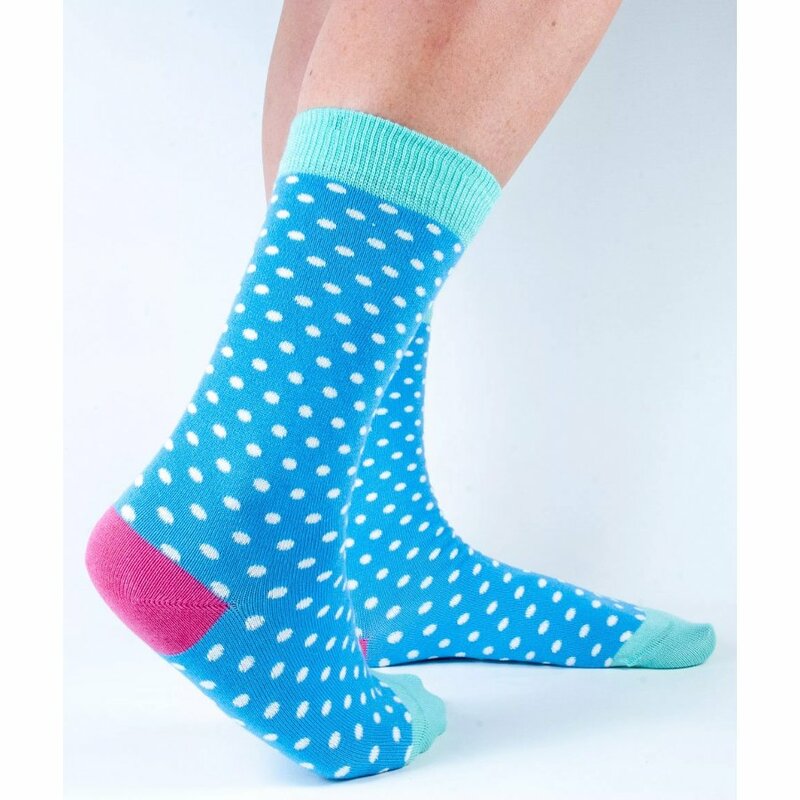 The Doris & Dude Women's Blue Spot Bamboo Socks product ethics are indicated below. To learn more about these product ethics and to see related products, follow the links below. 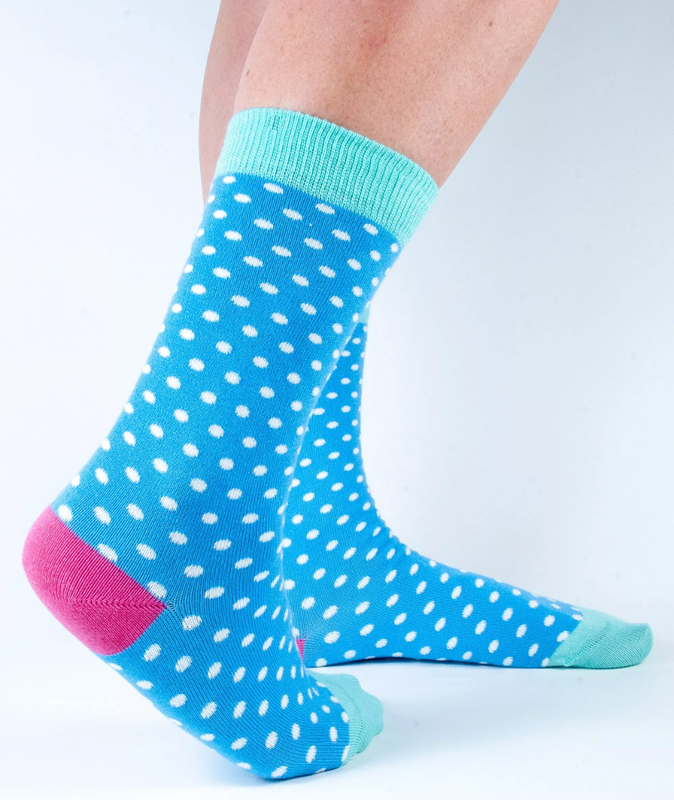 There are currently no questions to display about Doris & Dude Women's Blue Spot Bamboo Socks.